It has been a long time since I last sat down and sketched. I find myself making many excuses because either I haven’t thought through exactly what I will sketch or that I am not out on location so what’s the point! 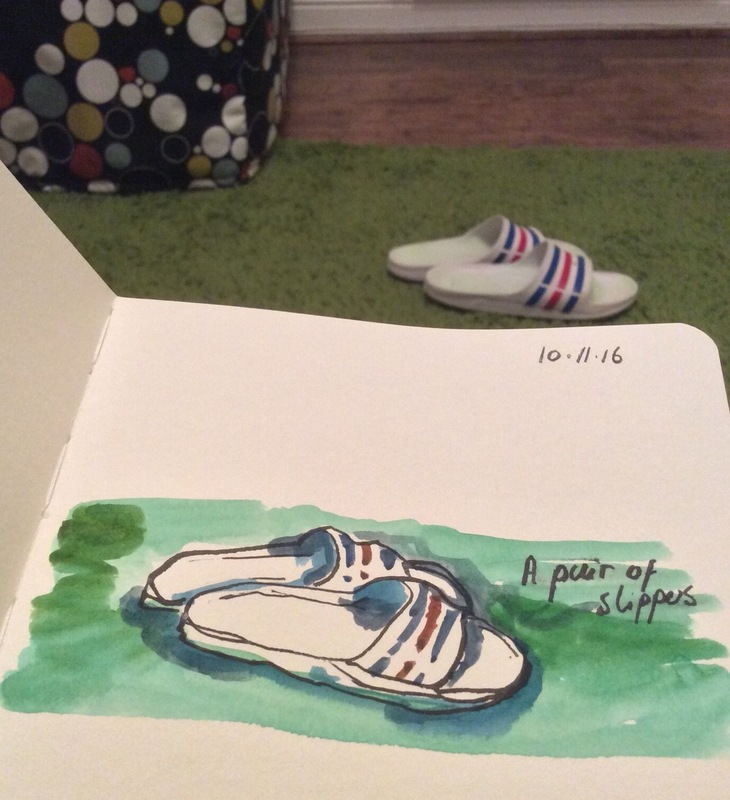 This time I decided to stop making excuses and I grabbed my tools and decided to sketch the first item I came across – a pair of sandals or slippers. Even though it was just a pair of sandals, I realised I felt the same sketching emotions whilst I sketched them – everything slows down and I feel a general sense of calm. The only thoughts racing in my mind are how does the slipper curve in, what colours can I see and where are the shadows. I see these sandals all the time but after sketching them I realised the everyday item isn’t always just ordinary – everything can be sketched!